Before leaving the driver’s seat, always make sure the shift lever is in the P (Park) position; then set the parking brake fully and shut the engine off. Do not use the P position in place of the parking brake. 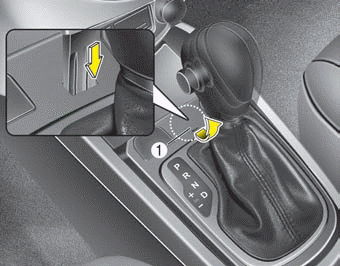 Always make sure the shift lever is latched in the P position and set the parking brake fully. Unexpected and sudden vehicle movement can occur if these precautions are not followed. 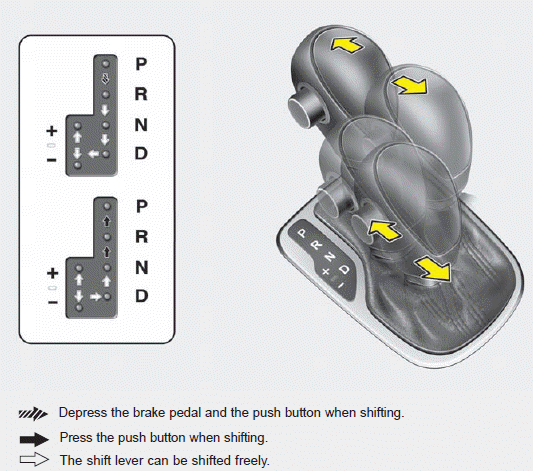 Always fully depress the brake pedal before and while shifting out of the P (Park) position into another position to avoid inadvertent motion of the vehicle.